ALLEGRA BOVERMAN/Staff photo. Gloucester Daily Times. 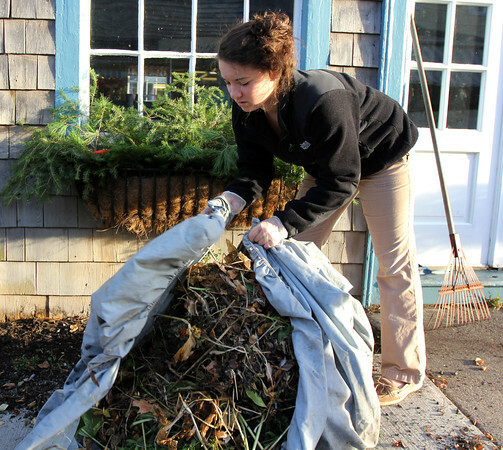 Rockport: Rhode Island resident Cori Sullivan, 16, visiting her grandmother Inge Sullivan, helps clean up the garden and grounds of the family's longtime ice cream shop, Sundays, in Bearskin Neck on Friday afternoon. The family was putting in greens for Christmas and other decorations, too. The shop is closed for the season.